Dining table in high gloss lacquered wood. Feet in solid beech wood painted in high gloss lacquered. Can be with (+45 cm) or without extension. 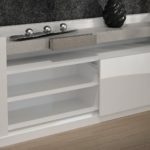 Buffet in high gloss lacquered wood with two sliding doors. On the top are 4 drawers in golden or silver leaf. Upholstered chair No 52 with sides part in metal or wood. 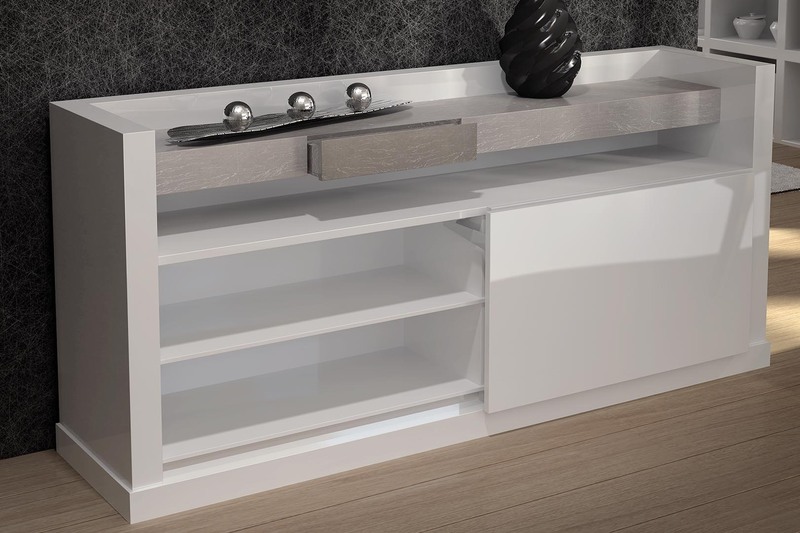 Console in high gloss lacquered wood with drawer and feet in solid beech wood painted in high gloss lacquered. 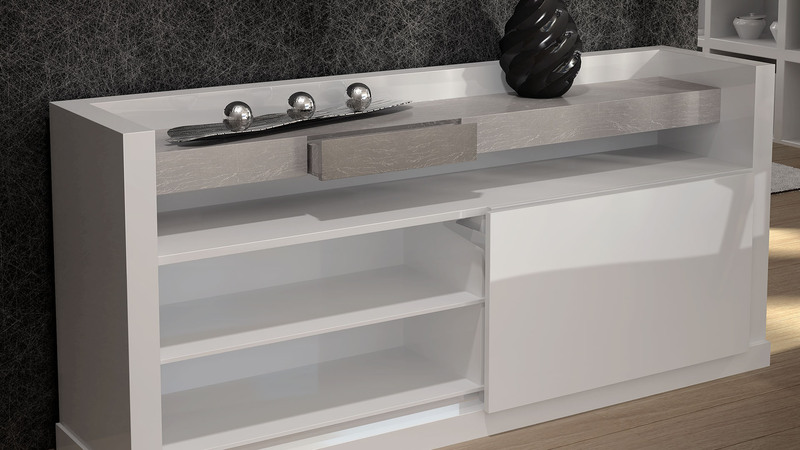 Lamp table in high gloss lacquered wood and base in solid beech wood painted in high gloss lacquered. Coffee table in high gloss lacquered wood and base in solid beech wood painted in high gloss lacquered.